With the development of science and technology, various kinds of high-technology product has been invented to solve or improving the personal or public security. 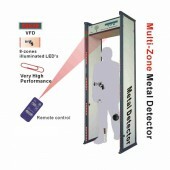 Among so many metal detectors the 8 Zones Walk Through Metal Detector can be a good choice. Designed with a 8 multi-Zone Display, a big 5.7-inch LCD, and detection programs in flashing memory. So no matter in testing area or in display function area, this one has a certain advantage. 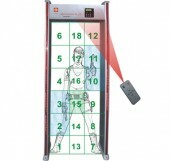 The 8 Multi-Zone Display make it possible for the operator to set and store multi-zones sensitivity appropriately for a specific weapon or test object, like the knives and gun, and skipping the safety metal goods such as coins and keys. This device has a wide range of application area. It can be secret places like prisons, in which the prohibited articles need to be checked. 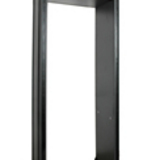 Therefore it can also be installed in the court, theatre, airports and many conditions as a kind of security tool. Beyond that, although it can be remote controlled, it can still be easy to install operate and program. You can install it with a cost of no more than 15 minutes. In addition it can stand tough working condition, for example the working condition of it can range from -10 °C to 55 °C, which gives a promise for it to wok normally both in summer and winter. After knowing the basic information of this excellent product, you may be amazed by it. So just come to detectall.com and you will be amazed by the product. And you will have a feast for both your eyes and heart. Sensitivity: 100 sensitivity steps in separate floor level adjustment. Program: 1 default program with multi-zones sensitivity pre-set for general use.Operator can set and store multi-zones sensitivitives appropriately for a specific weapon or test object. Installation: Set-up can be completed by one person in less than 15 minutes. Anti-interference Ability : The adoption of digital, analogy and left and right balanced technology can prevent false or omitted alarming, which greatly enhance the capability of anti-interference. Password Protection: Password protects parameters from non-authorized operation. Remote Control:Yes,easy to control and program the unit far away. The product is of great sensibility, I am satisfied. The after sales service is nice. Thank you very much. Good quality . It still works so well for a long time since i have bought it.